In March of 1921, Lenin introduced his New Economic Policy to the tenth Congress as a means of fixing the many shortages that ran rampant throughout Russia, particularly food. Essentially the New Economic Policy (NEP) allowed peasants to sell their food surpluses on the open market, instead of having their surplus claimed by the state. This helped to revitalize the Russian economy because, in addition to the peasants having an incentive to produce more grain, the NEP opened the door for the denationalization of many small scale industries. The state also levied a tax on the peasant surplus sales as well as the small industries and businesses, generating more spending money for the state. In fact, by 1927 the economy had returned to prewar levels and the peasants were now producing a significant surplus of food. However, not everything was perfect in Russia. When the NEP was initially presented, it was met with opposition from the Bolsheviks. They did not like the idea of having any sort of open market in their new socialist economy, despite the fact that the famine and material shortages had forced many citizens to utilize the black market. 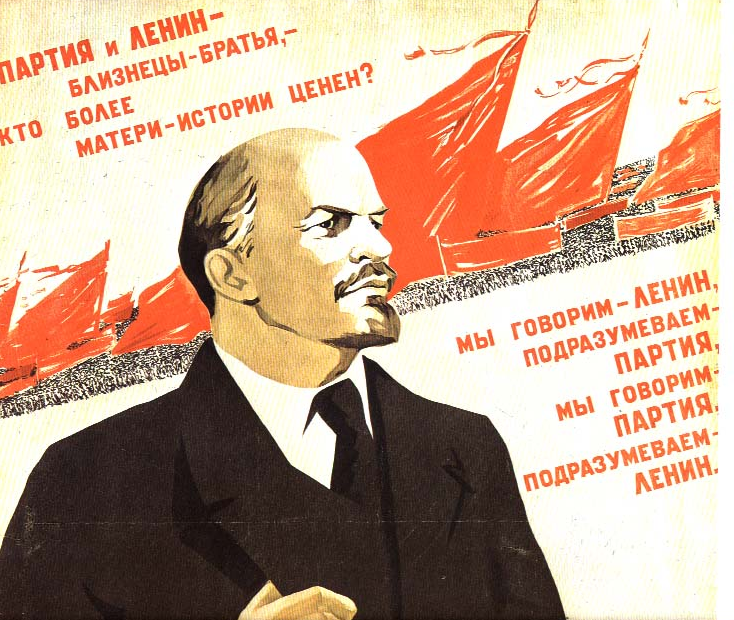 Lenin defended the NEP by claiming it was state sponsored capitalism and a necessary step towards full socialism. Economic classes began to divide society as certain populations began to profit more than others. Unemployment also became a factor. Both of these issues, and the unrest they produced, are said to have allowed Stalin to triumph over his political rivals. Thanks for posting those links! not sure why that big blank space is showing up. From an American pro-capitalist perspective, it seems that the amount of free market Lenin allowed gave the ability for the economy to recover, but the amount of state control retained also allowed the people to suffer, and act as a catalyst for Stalin to move toward a new economic policy. Lenin’s policies are very interesting, especially the New Economic Policy. By allowing peasants to sell their goods on open markets, it stimulated the economy and generated a surplus of food. Very interesting how Lenin got this plan through; even though he claimed it was state-capitalism it’s clearly not socialist the way many would envisioned his leadership would be. Very fascinating that even Bolsheviks opposed some of Lenin’s policies; it show’s he had pragmatic streak and how extreme some members of his ideological faction were. I have found Lenin to be much of a pragmatist in not only his political ideology, but social ideology as well. In fact, I touch on his pragmatism in dealing with the West around the time of the 1920s as well. I would agree with you that Lenin’s approach separated him severely from the more radical wing of the Bolshevik party and would ultimately leave room for Stalin to come to power. I find it very interesting how the NEP allowed for more economic freedom and allowed a “free trade” in a sense. t’s also interesting how Lenin did not build off of the NEP’s success in revitalizing the economy somewhat. It was interesting to learn about the negative feedback that stemmed from the NEP. I wrote on the Kronstadt Rebellion, which helped push Lenin for implementing this policy. I only looked at the positive aspects but was glad that I could understand some of the negative aspects as well that not many people in the Bolshevik party were happy with. on the peasant surplus sales as well as the small industries and businesses, generating more spending money for the state. In fact, by 1927 the economy had returned to prewar levels and the peasants were now producing a significant surplus of food. ire gives a (humorous?) analogy of the banking concept of education that deals with a form of knowledge that has no bearing on reality. Thus, we teach a “vital question” like “Roger gave green grass to the goat” only to instead come to learn that actually “Roger gave green grass to the rabbit”. Exaggeration aside, is this true to our experience of education? I would love to begin a dialogue on what you think this analogy is meant to represent within the banking model of education? I have an idea, but need further clarity from other disciplines. I also wonder how Freire’s pedagogy for the oppressed would approach the idea of technology in the classroom? Thoughts? peasant surplus sales as well as the small industries and businesses, generating more spending money for the state. In fact, by 1927 the economy had returned to prewar levels and the peasants were now producing a significant surplus of food.